Feel free to share this list if you so desire. 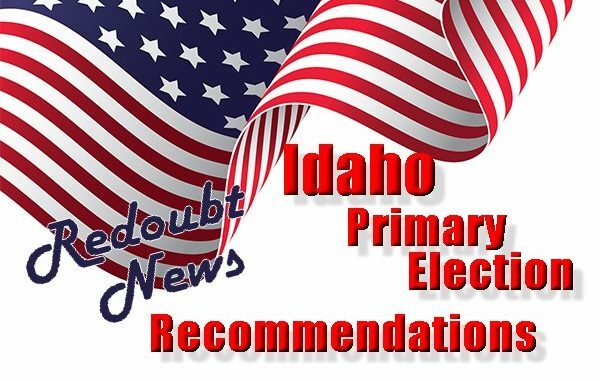 A group of vetted Constitutional Conservatives were instrumental in compiling a list of Republican candidates they felt are the best choices for Idaho’s Primary Election on May 15, 2018. If a position is unopposed in the primary, that is noted on this list. There are several positions where sufficient information could not be obtained on the candidates and that is noted on the list as well. Feel free to share this list if you so desire. 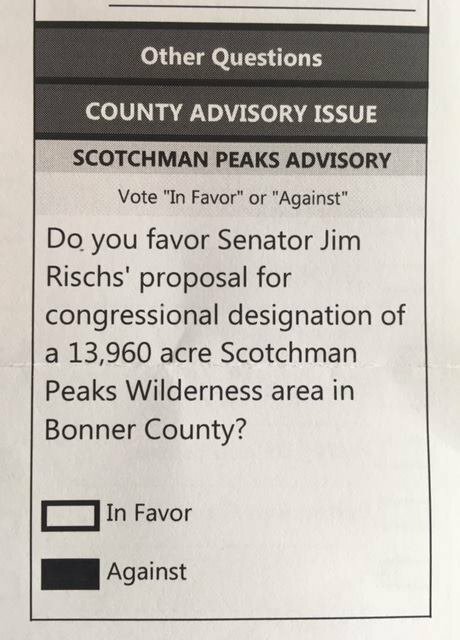 STATE REPRESENTATIVE, POSITION B: Unable to provide an accurate recommendation due to a lack of information on the candidates. STATE REPRESENTATIVE, POSITION A: Unable to provide an accurate recommendation due to a lack of information on the candidates. Wasden for AG? Troy in 5? Where’s John Green? This needs work! I agree. Wasden has no opponent. Troy is the darling of the Latah County Democrats. John Green? Well you just don’t get anymore pro liberty, constitutional conservative with a backbone and principles that him. Doug O refused to fill out the ISAA gun questionnaire. What does that tell you? Your choice for District 2 is just plain wrong. Who paid you off?? No kidding. Doug O refused to answer the Idaho Second Amendment Alliance gun questionnaire. That speaks volumes. John Green got a 100% pro gun score on the survey. Ken, your credibility just got flushed, as your comment was completely uncalled for. We have been talking to folks for months as to our process for these recommendations. A large, odd numbered (so there would be no ties) group made their choices. These were collated by someone other than me. These are the final results. There are many running unopposed (such as Troy). How would you have preferred them to be listed? I plan on voting for the Democrat over that RINO Caroline Troy. I have nothing to lose and I send a clear message to the corrupt GOP that I will never vote for a RINO. Ever. Endorsing the RINO only perpetuates the problem. Better to roll them, than support them. Ken, this is a PRIMARY. There is no opposition. I thought you understood that. With all due respect, Shari, it is Redoubt News’ credibility that is in question with this ridiculous endorsement of Doug O. over John Green in district 2. You might want to do a little checking into the agendas of the members of your ‘large, odd numbered group’ that came up with this! Actually, no. We set up a team to decide these. These are not individual endorsements. We are a citizen-powered organization. There are apparently people in this conservative community that do not feel their voices are being heard. And based on some of the responses I have received, I can see why. I cannot believe that you are endorsing the crony capitalist, faux-servative for District 2, Seat B! This is extremely disappointing. John Green is the man for District 2, Seat B. He is a strong fighter for liberty. An ardent supporter of our Second Amendment protected rights, and a supporter of homeschooling. 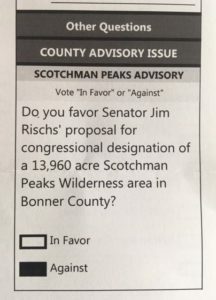 His opponent could not even take the time to answer the ISAA questionnaire on firearm freedoms, nor the simple, 4 question, questionnaire from the ICHE on homeschooling. Vote JOHN GREEN District 2, Seat B on May 15th. It seems that Doug O finally answered the ICHE survey. So I take that back. I guess I need to remind you that we had this conversation already, and you specifically stated that Doug O had integrity when he did not fall for the trap of dishing the dirt on John Green, instead he took it to John personally. You do not need to remind me, but that most definitely did not mean that I endorsed him. Just that in that instance, he did the right thing. BTW, some of that “dirt” has been swept up and thrown out. Who is John Gault? I mean Green! Danielle Ahrens? It is indeed a sad day when the recommendation is for someone who was afraid that she was being setup in a same party debate and therefore didn’t show. What is Danielle going to do if elected? Not fight for her beliefs, obviously. And, Russ Fulcher? 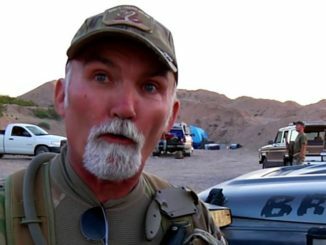 One of the men who gave Common Core to Idaho? Nice. Ms. Ahrens, like all of the candidates, has a very packed schedule, sometimes 3 and 4 events A DAY, and things can come up that are unforseen. She has attended EVERY SINGLE ONE of her scheduled events except this one, which was no different from any of the others. I think her fight will be just as tough as she is. The problem with this comment is that Ms. Ahrens said that she decided not to go to this debate because she thought she was being set up by Scott Herndon and Lee of KYMS. On video right here on the Redoubt News. Out of her own mouth, not someone else’s. Ms. Ahrens did not say “something else” came up – she said many of her counselors told her not to go because it was a set up – so she didn’t go. She didn’t have to agree to go in the first place. This seems to indicate a possible pattern of not following through with her current campaign promises. This could also show a tendency to shy away from a tough debate – whether it is in a small thing like this with your own party, or whether it is debating some piece of legislation. Danielle is also an unrepentant liar. She is not a good candidate for the senate, and Redoubt News is playing the fool to recommend her. Raul Labrador pushed Amnesty for illegals in January. This got your endorsement? Some Constitutional conservatives you’ve got there on that panel!